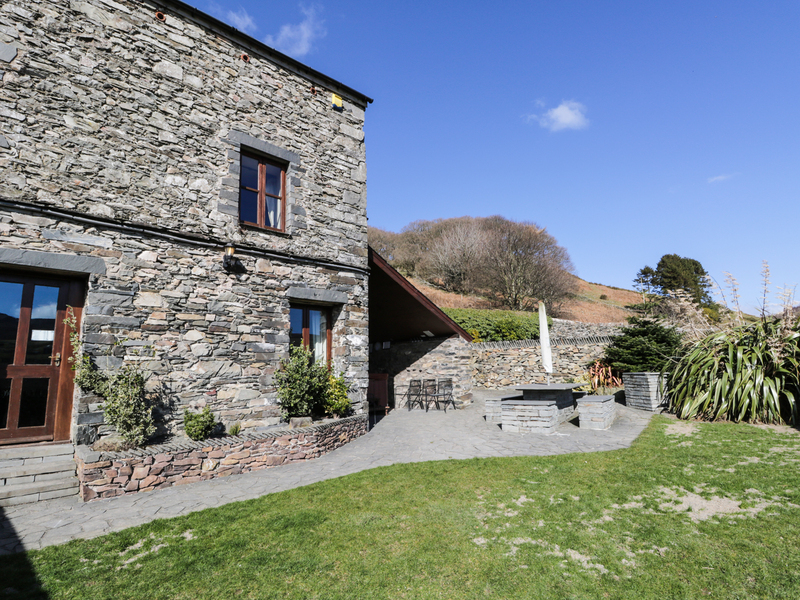 Bank End Lodge is a gorgeous barn conversion for 10 people. Located in the pretty village of Grizebeck Bank End Lodge is just 15 minutes from Windermere and Coniston in the heart of the Lake District. With three double bedrooms, 1 twin room and 1 zip link twin (converts to super king size), plus 2 bathrooms with separate shower cubicles, basins and WC, plus 1 shower room with basin and WC. The sitting room and kitchen/diner offer stunning views to Kirby Fells. The enclosed garden has slate seating area and hot tub. Off-road parking for 6 cars. Bank End Lodge is a perfect destination for a family holiday or with a group of friends. Accommodation over three floors. Five bedrooms: Lower Ground Floor: 1x king size double; 1x double; 1x shower, hand basin and WC; Utility. Ground floor kitchen/diner and living room. Ground Floor: Lounge; Open plan kitchen/dining room. First floor: 1x king size double; 1x twin (can be made into a super king upon request); 1x twin; 1x showers, hand basin and WC; 1 Bathroom with shower over bath with hand basin and WC. Night storage and panel heaters, electric coal effect fire. Range cooker and halogen hob, American style fridge/freezer, microwave, dishwasher, washing machine, tumble dryer. Plasma TVs and DVD players with selection of DVDs, Micro Hi-Fi iPod dock with USB port and CD player. Electricity included. Bed linen and towels provided. 2 cots, 2 highchairs and stair gates available on request. Off-road parking for 5 cars. 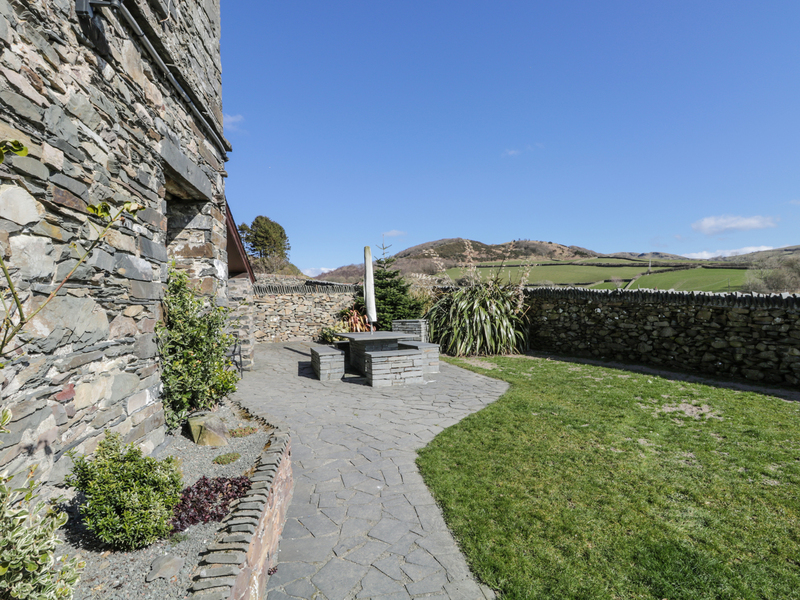 Enclosed garden with feature slate seating area and hot tub with views to the fells. Further shared fenced garden with the next door cottage, for games and access to pond area beyond. Dogs welcome. Pub within walking distance. Countryside walks in the area. Basic welcome pack provided including tea, coffee and sugar, one toilet roll per toilet, hand soap per toilet, two dishing washing tablets and washing up liquid, two tea towels and two hand towels for the kitchen. Coniston and Windermere 15 minutes.